JDF: I usually play a variety of material – some stuff that’s on whatever my last few records are and sometimes stuff that I haven’t recorded. You know, straight-ahead jazz with a twist – a little blues, a little funky. It’s kind of the history of jazz in our set. 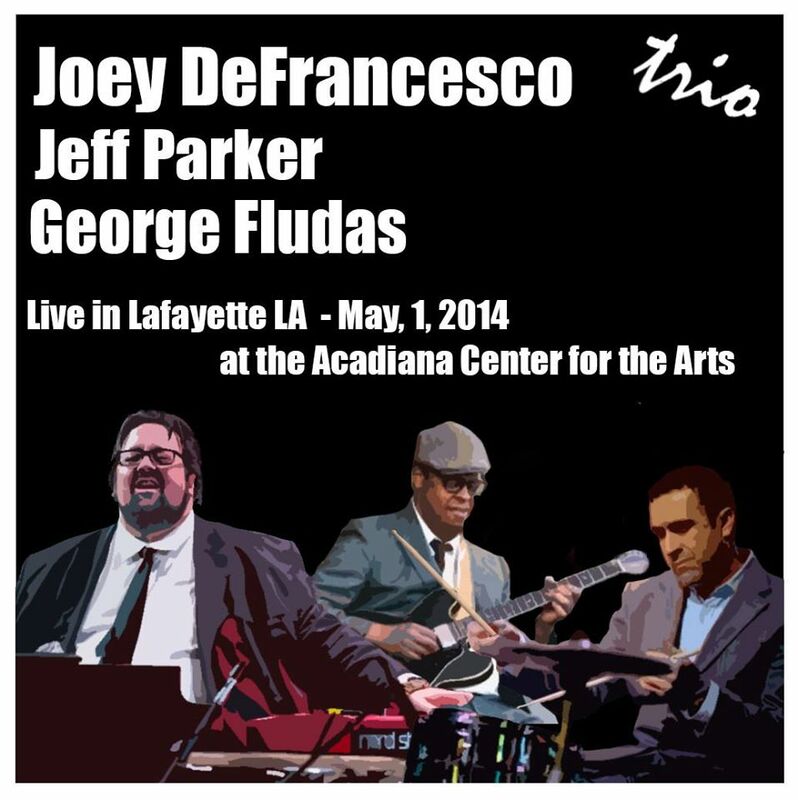 A concert poster featuring the Joey DeFrancesco Trio (L to R) DeFrancesco, Jeff Parker (guitar) and George Fludas (drums). 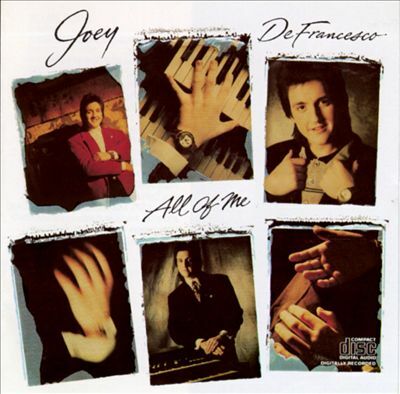 AM: Tell me a bit about the other members of the band you’ll be playing with – the Joey DeFrancesco Trio. JDF: The guitarist is Jeff Parker, who I’ve known for some years. This trio’s been working together for almost a year now consistently, and Jeff is from Virginia, but I met him in Chicago 10 years ago. He’s a great player. He’s played with all kinds of different musicians, and he’s got a great feel and makes everything sound good. On drums is George Fludas, another very seasoned musician from Chicago who’s played with a lot of the great jazz musicians. So I really enjoy playing with these two guys. It’s a very fun group. AM: Do you bring your own organ with you when you travel? JDF: Sometimes I do. For instance, I have a portable organ where I can get the sound that I need. But a lot of times they rent a Hammond organ for me at the venue, so nowadays mostly it’s whatever they provide for me. I do like having my own, but it’s kind of difficult to transport sometimes. AM: When you bring a portable organ, what do you use? JDF: What I’ve been using for a portable set-up is a Nord C2 and that’s what I take around when I have to. It’s very lightweight. You can put it on an airplane or whatever. AM: Going back to your early years, how did you get your start in music? JDF: Well, my family is a very musical family. My grandfather played, my father plays, and my father plays organ as well, so we had an organ in the house and I became very interested in it at a very young age. So when I was around four was when I started really wanting to play it. I started playing and asking my dad a lot of questions, and listening to all the records of the greats – we had all those in the house as well. And I had so much interest in it that I was very motivated. I didn’t have to be told to practice or anything like that, so I kind of just took it and ran with it, and I still love it the same now. AM: How did your fingers get around the keyboard at that age and how did you reach the pedals? JDF: Yeah, I couldn’t reach the pedals. That started a few years later. I don’t know. I got around somehow on those keys. It was just a very natural thing for me. AM: And you’ve always played completely by ear. Is that something you think was an innate ability or did you also develop it? JDF: It’s probably a little bit of both. It was always very easy to learn stuff when I’d hear it, but I worked a lot at it as well. I loved it so much I didn’t know it was work, but I spent hours and hours and hours a day on the instrument. It was my favorite toy, so it made it easy. AM: Did your friends wonder why you were always practicing and not outside playing? JDF: Yeah, but I did that too. That’s when my mom and dad – when you’re usually telling your kid they have to practice or whatever – would tell me, “Go outside, ride your bike. Do something. Why do you always want to just play that organ?” Because I loved it so much. But you know, I had a good, regular childhood too. I had bicycles and all that stuff and my friends. AM: How old were you when you first started performing in public? JDF: Well, my dad played professionally in the local Philadelphia area and New Jersey, so my first experience playing live was with him. I think I was seven years old when I first sat in. He took me to one of his gigs and that’s when it all started and I got to play with a live band. Once you do that, you want to do it all the time, so I just really got bitten by the bug then. AM: Who were some of the people you played with when you were a teenager? JDF: I was fortunate. 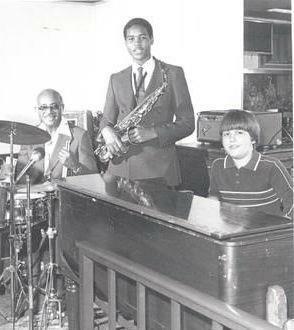 Growing up in the Philadelphia area, there were a lot of great musicians there. I played with a lot of legendary musicians – people like Hank Mobley and Philly Joe Jones and Trudy Pitts, Shirley Scott. And then, when I was 17, of course, I joined Miles Davis, so that was . . . that’s the top, you know. 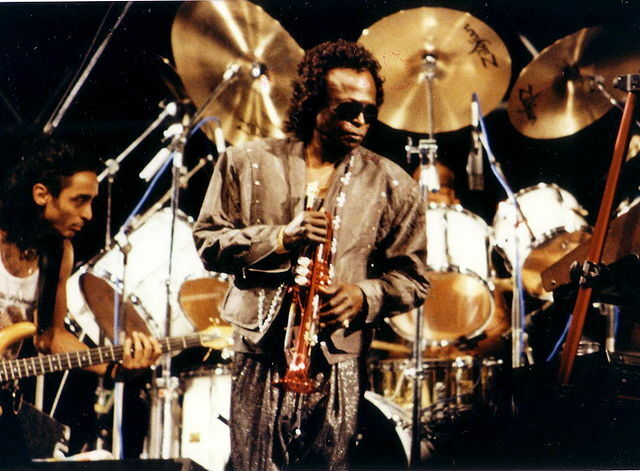 AM: How did Miles Davis find you? 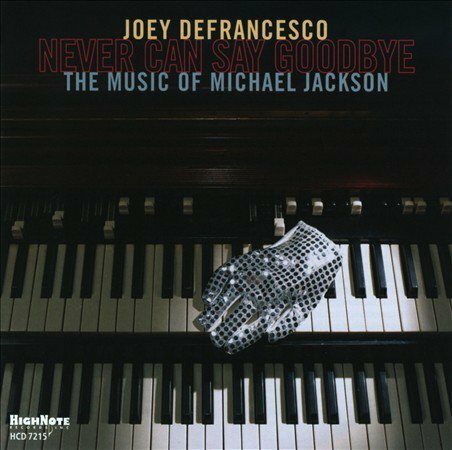 JDF: Well, there was a local TV show in Philadelphia that was bringing Miles in to interview on this morning show, and they also had the All-City Philadelphia Jazz Trio play on that show. And Miles heard me and he asked for my name and number. And that was it. Almost a year later I got a call to join his band, so I was pretty thrilled. AM: Before that even happened you had a recording contract with Columbia Records. JDF: Yeah, I signed with Columbia when I was 16. The record was pretty much finished then Miles called. So that all happened around the same time. It was pretty cool. AM: How did Columbia find out about you? So I went in the studio and I made a little demo and I played the organ on it. Totally different than what he heard. It was a couple of days before Christmas when I mailed it to him. He actually called on Christmas Eve and said, “You’re playing this organ. I want to sign you to Columbia Records.” And I was like, “Whoa! Right before Christmas. What a great Christmas gift.” That was December of ’87 and I was in the studio in June of ’88. Then Miles called me in August of ’88. 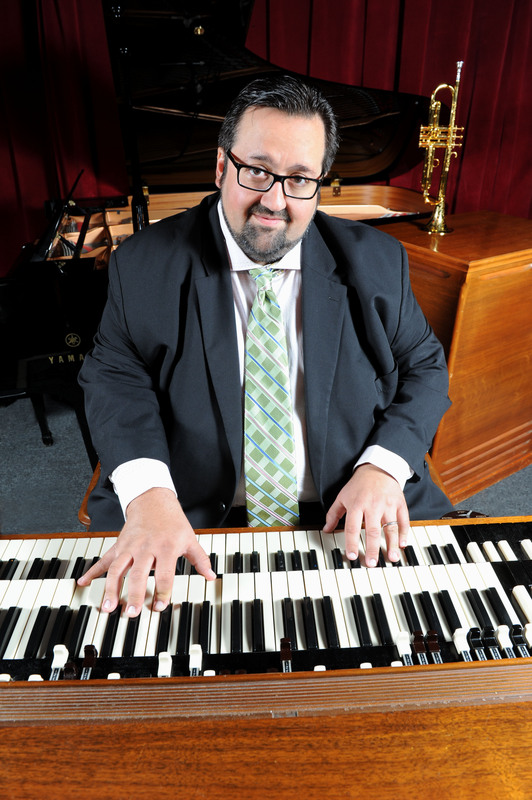 AM: What is it about the Hammond organ that you love so much? JDF: It’s such a spiritual sound. That’s why, even a long time ago, it was in use in the church. And then the Hammond organ is a completely different kind of sound than a pipe organ. You don’t have to use wind or anything like that to play it. You’re not physically making the sound, it makes its sound electrically, but there’s something very organic about the sound. And it’s approachable and it makes people feel a certain way. It’s very in touch with a human kind of sound – almost like a voice or an orchestra. There are all kinds of things you can do with it. AM: Did you go to church as a kid and did you ever play the church organ? JDF: Yeah, we went to church. They had the pipe organ in church and I wasn’t that interested in that – I was much too interested in the Hammond organ. Even though the Hammond’s based on a pipe organ because the whole reason for its design was an affordable alternative to a very expensive pipe organ for small churches and things like that, when it came out in the ‘30s. I love the pipe organ now, but still to this day I have to learn more about it. I really don’t know enough about the instrument to sit down and play one. AM: You’ve released more than 30 albums. Which are your favorites? JDF: Usually the one I’m working on at the time is my favorite. And then that comes out and I’m finished that and I’m ready to do the next one. I like them all. I can’t say that I don’t like any of my records. I think they all have their place in time, you know, wherever I was in stages of development. And now I’m ready to do another one and I’ve got ideas for that. AM: Can you give a sneak preview of the next one? JDF: There’s one coming out in a couple of days here on Bluenote. It’s called Enjoy the View. It’s an all-star band, actually. 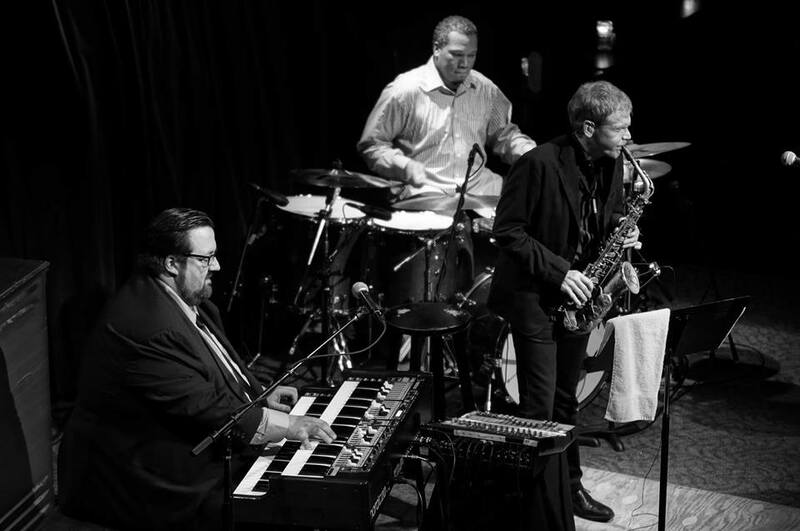 It’s myself and David Sanborn and Bobby Hutcherson on the vibes and Billy Hart on the drums. And it’s all original music. Each musician contributed a couple of songs for the album. So I’m excited about that one. I’ve got a double Christmas album coming out this year, too. 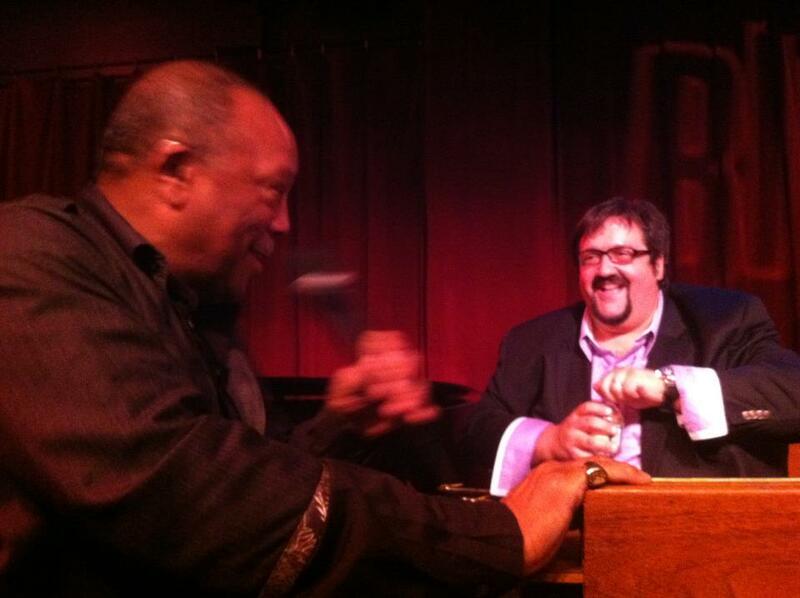 And that will be with my current trio and also some guests like George Coleman. I’ve been wanting to make one of those for years and finally we did it. AM: Two of your albums were nominated for a Grammy Awards, and one of them was a tribute to Michael Jackson. How did that come about? JDF: Well, I’m 43, so in the early ‘80s I was a little kid so all that music was very important. Even though I was into jazz, I also liked Michael Jackson because the music had so much depth to it. They were real songs, not too much like what’s going on with the pop music now. And I had talked about doing a record with all those songs a long time ago. And then when he passed in 2009, I started thinking about it even more. So I said, “We’re gonna do this.” And we did. That was a lot of fun making that record. I wanted people to be able to recognize the music. I didn’t want it to sound exactly like the original, but I had to have enough of that in there where people knew what it was as well as have space and room for improvisation. I think we pulled it off real well. We recorded all that music – and that’s a lot of music and arrangements and a lot of things going on with that music – in one day in a 10-hour recording session. AM: You’ve influenced a whole generation of younger organists. What does that feel like? JDF: It feels great. It’s a big honor to me. You know, I’m still learning and I’m still trying to push things forward and constantly interested in listening to new things and trying to do new things. And yeah, there’s a whole generation of organ players now that totally come out of the style. I have all the influences of the legendary guys, but it kind of evolved into something else because I’ve been at it a long time. Playing different kinds of music with different musicians I’ve developed a whole other approach to playing the instrument. And that’s where the guys are following that approach. And I’m really excited about that. I listen to them, because who knows? They might find something, too, that I want to hear. So it’s a big honor and responsibility too, because I can’t get stale, you know. AM: What are some of the elements of your style? JDF: Well, everything. First of all, of course, musicians and players that you love when you’re learning how to play that you listen to all the time. Like the first stuff that I listened to for the organ was Jimmy Smith and my father. And then all the other guys that played it. And then you start listening to other instruments that aren’t the instrument that you play and you start trying to emulate what you’re hearing on those other instruments on the instrument you play. And enough years of doing that, and all the different things you hear and all the music and other things in life that are around you, you put all in a funnel, and what comes out at the bottom is this mixed potpourri of all these things, and it’s what you are. AM: Does your dad still play and does he come to your gigs? JDF: Oh yeah, he still plays and they’re living in Arizona – I live out there too – and so he still plays locally, and when he can, if I play in town, they come to the gigs, so it’s nice. 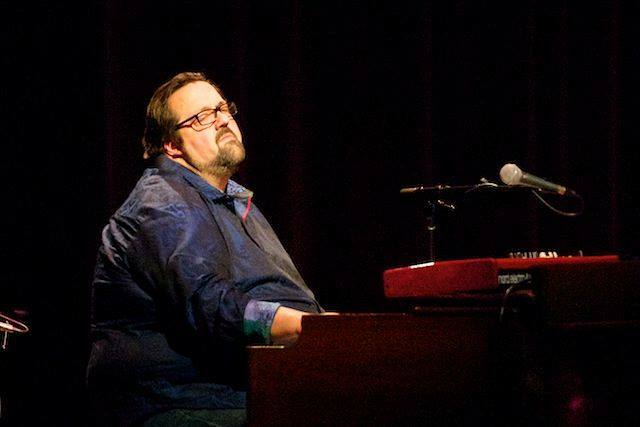 Joey DeFrancesco and his trio will be performing at the Toronto Jazz Festival on June 25, the Rochester Jazz Festival on June 26 and the Philadelphia Clef Club of Jazz on June 27 , followed by a series of dates in Europe. 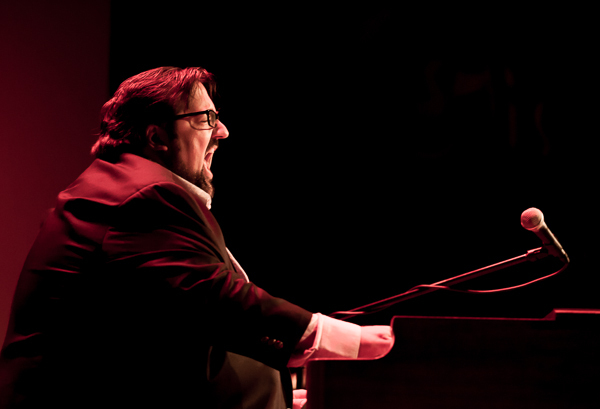 For more information on Joey DeFrancesco, visit his website at www.joeydefrancesco.com. 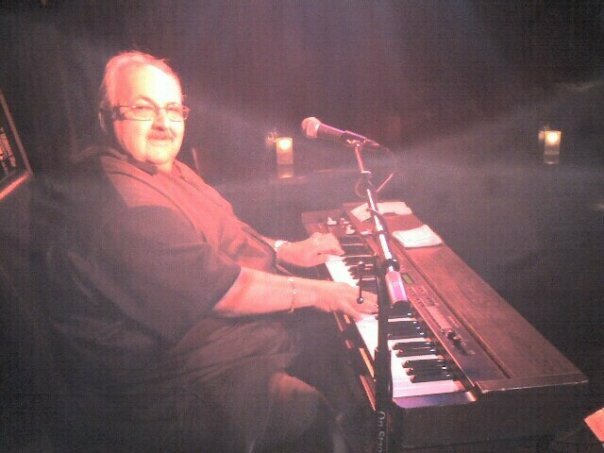 This entry was posted in MUSIC and tagged All of me, Enjoy the view, Geoff Parker, George Fludas, Hammond B3 player, Hammond organist, Interview with Joey DeFrancesco, Jazz organist, Jimmy Smith, Miles Davis band, Never can say goodbye, Papa John DeFrancesco, Philadelphia musician, Philadelphia organist. Bookmark the permalink.